Health insurance policy terms and policy conditions can be confusing, here is a list of the top most referenced health insurance words with definitions and examples so that next time you find yourself wondering "What does that mean?" about a health insurance policy term or condition, you've got your answer here. Below is a list of common health insurance coverage terms to help everyone understand more about what their health insurance plan has to offer. Still want more info than our quick list here, you can also click on the links to see more in-depth information about each of the terms. Co-insurance is the shared cost between the insured and the insurance company for specified healthcare coverages. It is a percentage of the payment after the deductible. The co-insurance is usually expressed as a split, where the insured pays a certain percentage and the insurance company pays the rest. The most common co-insurance split is 80/20. This means that the insurance company will pay 80% of the procedure and the insured is required to pay the other 20%. The co-insurance clause is not to be confused with the deductible which is the part of the insurance that the insured will pay for themselves before the insurance company begins to pay benefits. Example of how co-insurance works: Mary has an 80/20 co-insurance clause. She pays 20% of the cost and the insurance company will reimburse her 80% of the cost. How Does Co-insurance Work with a Deductible? An example of how the co-insurance works with the deductible would be as follows: You take the total amount of the cost, less the deductible. The amount you are left with is the amount that the co-insurance clause will apply to. So, for example, if you have a $1200 medical bill with a $200 deductible and an 80/20 co-insurance clause, it would play out like this: Amount of the medical services ($1200) less the deductible ($200)= $1000 remaining. Based on the 80/20 co-insurance, you would cover 20% ($200) and the insurance company health benefits plan would cover 80% ($800). At the end of the day, you have paid $400 and your health insurance benefits pay $800 to cover the total cost of $1200. Coordination of Benefits is when health insurance benefits are available to a person from different sources, the health insurance provider will review the various coverages available and then arrange payments accordingly. If there is only one source of health insurance then coordination of benefits does not apply since there is no other health plan to "coordinate" with. Mary's health insurance plan pays up to a yearly limit of $1000 for physiotherapy, while her husband Johnathan's plan which also includes coverage for Mary under his health insurance plan with his work pays up to $500. Mary is covered by a dual plan. In this case, the health insurance company would coordinate benefits to make sure each plan pays a portion of the service. Once one plan is exhausted and has hit the yearly limit, Mary may still be able to get coverage under Johnathan's plan. Mary's primary health insurance carrier has an 80/20 co-insurance clause on dental benefits. Because she has dual insurance under Johnathan's plan, her primary carrier will pay 80% of the cost of her insurance and she will then get the remaining 20% from her secondary health insurance provider (Johnathan's plan). Because she is covered under the dual pan, due to the coordination of benefits between the two plans, she ends up paying nothing out of pocket. Mary's primary health insurance insurer has the 80/20 co-insurance, and her secondary insurer through Johnathan.s work has an 80/20 co-insurance clause as well. After Mary's plan pays the 80%, the secondary carrier does no kick in to pay any of the balance because they would have only paid 80% as well. If Mary's primary carrier had a 50/50 co-insurance and Johnathan's plan has the 80/20 co-insurance, then the coordination of benefits would result in a 50% payment from Mary's plan, then the remaining difference of the 30% payment from Johnathan's health insurance (or the secondary insurance provider for the health benefits). The total Mary would get always ends up as 80% with the non-duplication clause, and there is no duplication of benefits. The co-payment is a fixed amount that you are required to pay at the time of receiving certain medical services. Your health insurance policy will define which types of medical services require co-payments. Co-payments do not usually apply to all services covered by a health care plan which is why you should familiarize yourself with the information about your policy, to know what kinds of costs you will be paying in full or partially. Co-payments are most commonly associated with doctor visits and when purchasing prescription medications. Some people think the co-payment is the same as a deductible but the way the co-pay and deductible work is different. The deductible refers to the amount of money that the insured pays before the health insurance benefits will start to cover costs. Deductibles are an out of pocket expense when it comes to your healthcare plan. The higher the deductibles in your health insurance plan are, the less expensive your premiums will normally be. The reason is that when you take a high deductible health insurance plan, you are agreeing to pay more of the medical costs yourself out of pocket, and so the insurance company may not charge you as much on the premium. Tip: If you are looking into high deductible health insurance plans you can read more about them here. Consider looking into an HSA or Health Savings Account, which may help you save even more money. John has a $50 deductible on the dental benefits portion of his policy. His bill is $475, when he submits the claim to the insurance company, they only reimburse him $425 because he is responsible for the first $50 of the cost. A month later he has another appointment with the dentist. It costs him another $475. However, because he already paid the annual deductible, they reimburse him for the entire $475. This example does not take into account co-insurance since it is meant to only demonstrate the deductible portion. Once the deductible is paid, it will not be applicable again until the new policy term. Deductibles do not apply to all coverages in a health insurance policy in the same way and may vary between coverages on the same policy. For example, a person may have a zero deductible on vision, but a $50 deductible on dental, and no deductible on medication. The deductible is usually stated as a yearly amount so when the policy renews, the deductible would be in effect again. Some services, like doctor visits, may be available without meeting the deductible first. Usually, there are separate individual deductible amounts and total family deductible amounts. Dual coverage is when you are covered by two health insurance plans, or extended health or supplemental health insurance plans like dental, for example. A person may be covered under two health insurance plans but will usually only be the primary enrollee for one of them. The primary enrollee is the main named insured on the policy. The primary carrier is the health insurance company that insures you as a primary enrollee. The distinction of who the primary provider is becomes important for coordination of benefits because under the coordination of benefits the primary carrier will carry the primary obligation of costs. If a person is a primary enrollee in more than one benefit plan, then the rules under the coordination of benefits would apply to figure out the order in which each insurer would pay. See also: Coordination of Benefits for an example. As shown in example 3 above, if a person is covered under two health insurance plans, they stand to gain because where the primary carrier stops paying, for example with a co-insurance clause, then the secondary carrier may step in and pay the difference. This could leave the enrollee with nothing to pay, which is a huge advantage. A Health Insurance Grace Period is the amount of time an insurance company will give a policyholder to pay their health insurance premium after the due date before insurance coverage would be canceled or considered null and void. Each health insurance policy is different, be sure and check the terms in your contract. Beware, the insurance company may elect to withhold claim payments for claims within the grace period until the premium is paid. According to the AMA, under Obamacare or the Affordable Healthcare Act (ACA) people who receive advance premium health credits and do not pay their health insurance premiums in full will enter into a 90 day grace period, provided they have paid at least one month of their policy. If they do not pay their premiums in full during the 90 day grace period, then their coverage may be canceled back to the last day of the first month of the grace period. If they have a claim in the second or third month, before the grace period is over before they have paid, their health insurance may withhold payment of the claim until the payment is made in full, then only pay the claim when full payment is received within the grace period. However, the payment must be made before the end of the grace period or the claim can be denied. Insurance plans vary by type. 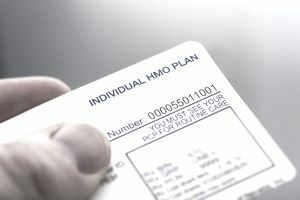 to learn more about the differences between different types of health insurance plans you may check out our article on HMO, PPO and other plans here. Multi-State health insurance does not necessarily mean that it covers you in all states. Multi-State health insurance by definition means that the insurance operates a plan in multiple states. If you wish to learn more about Multi-State Insurance Plans or if your health insurance covers you out of state and what are the options, learn more here. Out of pocket refers to the insured's personal cost. An out of pocket expense can refer to how much the co-payment, coinsurance, or deductible is. Also, when the term annual out-of-pocket maximum is used, that is referring to how much the insured would have to pay for the whole year out of their pocket, excluding premiums. A pre-existing condition is a medical condition that the insured had before the insurance policy began. Some plans will cover pre-existing conditions while others may completely exclude them. Pre-existing conditions may sometimes be subject to a waiting period before they are covered, other times they are excluded completely. Exclusions for pre-existing conditions are very common on travel health insurance plans or may apply when traveling. Looking to purchase health insurance? Check out The Balance's line-up of the best health insurance companies for 2019.